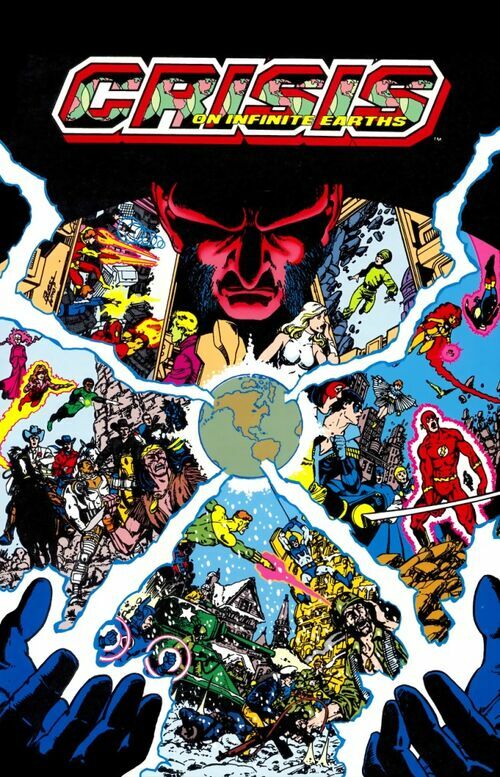 In 1985, DC Comics published the maxi-series Crisis on Infinite Earths. The purpose of the 12-part story was to streamline DC’s continuity, which stretched back to 1938 and involved multiple versions of characters from a near-infinite number of parallel universes. At the time, DC’s head honchos feared their history was an impediment to new readers and sought to eliminate multiple versions of characters and [what they thought were] confusing-and at times, contradictory-histories, by eliminating one of DC’s central concepts, the multiverse. In DC’s fictional universe, the multiverse consisted of an infinite number of parallel realities occupying the same space, but vibrating at different dimensional frequencies. The maxi-series saw the introduction of the Anti-Monitor, a being of immeasurable power who sought to annihilate every universe in the multiverse, leaving his home realm-the anti-matter universe-the only reality in existence. His efforts were opposed by his positive matter analog, the Monitor, as well as scores of heroes (and villains) from across multiple universes and timelines. In the end, the Anti-Monitor was destroyed (though he got better when the multiverse was later recreated), but his goals were largely achieved. Not only did he destroy all but 5 universes of the multiverse, but he had a significant role to play in the events that caused the DC Universe to be rebooted. In the wake of this reboot, only one universe existed and in fact, the multiverse was retroactively eliminated from the official history of DC’s fictional universe. Thus, in the history of this new universe, there never was a multiverse (making CoIE one of the few comic book stories I’ve ever read that retconned itself). Despite its flaws (and there are several), Crisis on Infinite Earths is near and dear to me-for two reasons. Reason #1- My introduction to DC Comics happened in the midst of the Crisis. If I recall correctly (I was a wee child at the time, so my memory may be off a little), the first DC comic I ever owned was Crisis on Infinite Earths #3. I was sucked in. Who were these characters? What were they doing? What mysterious force were they battling? For all that these questions enticed me-contrary to the beliefs of DC management, this new reader wasn’t turned off or confused by multiple versions of characters or parallel Earths-the answers to my questions eluded me for years because I wasn’t able to make regular trips to the convenience store (back then, comic books were available at local 7-11’s or Circle K’s). I was able to make it back to a convenience store to buy Crisis on Infinite Earths #7. Which leads me to the second reason CoIE is dear to me. Reason #2- In issue seven of CoIE, the heroes from multiple Earths (and one or two from the future of one Earth) learn the history of the multiverse as well as the existence of the Anti-Monitor and decide to launch an assault on his base in the anti-matter universe. 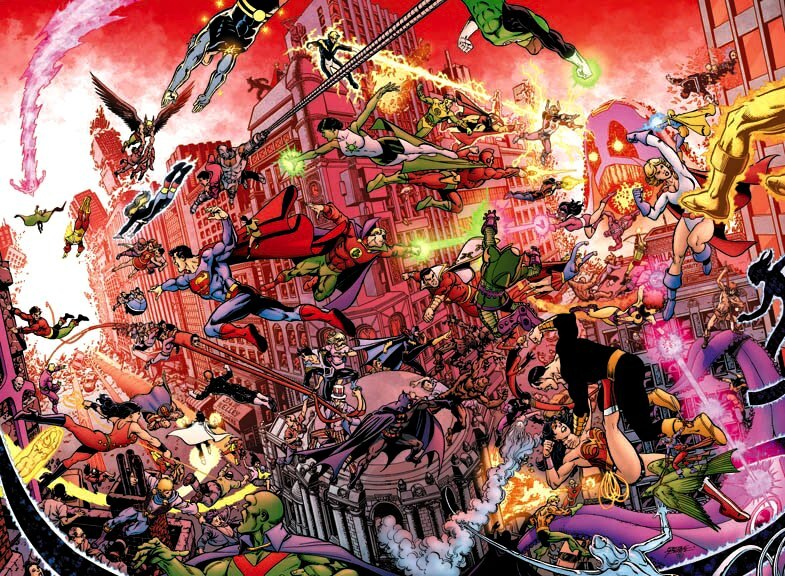 Despite the presence of Captain Atom, Captain Marvel, the Ray, Firestorm, the Earth-1 Wonder Woman, the Earth-2 Green Lantern, the second Dr. Light, Jade, Lady Quark, Martian Manhunter, Pariah, Wildfire and Mon-El (of the 30th century super teen team, the Legion of Super-Heroes), Supergirl, and the Supermen of Earth-1 and 2, the heroes quickly come to realize their foe possesses power on a scale they were not prepared for. 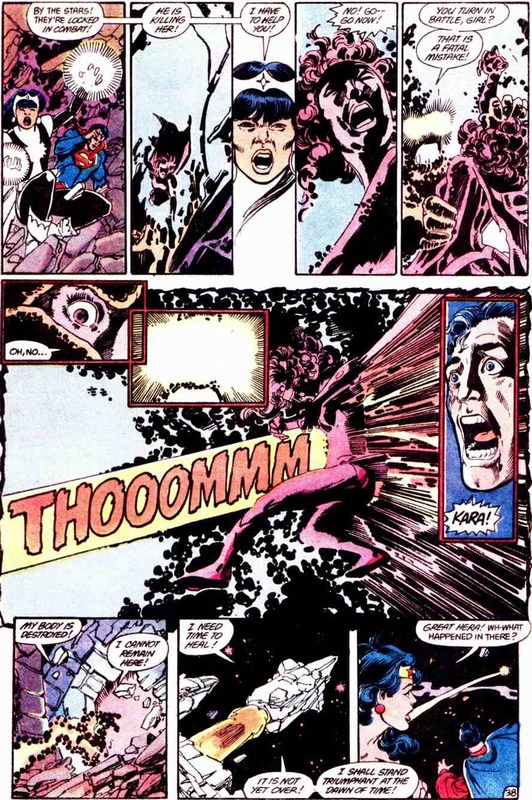 The Anti-Monitor possessed sufficient power to not only engage in hand-to-hand combat with the Superman of Earth-1 (who was able to move planets), but to actually hurt him. 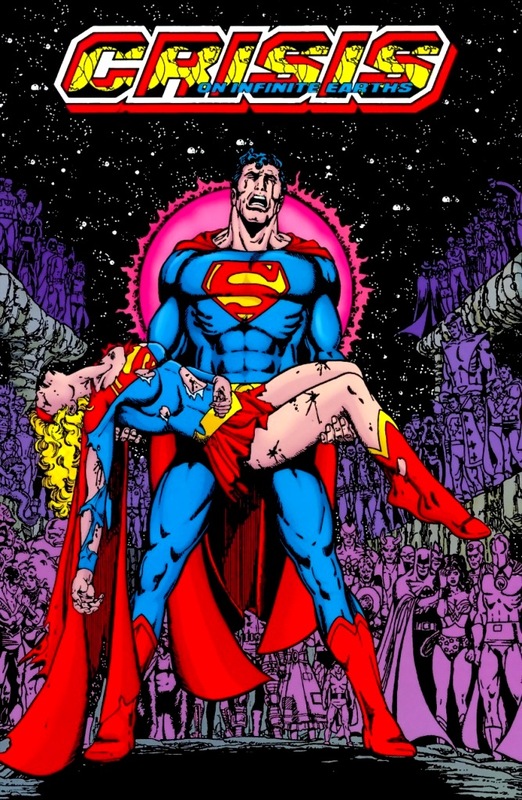 Indeed, he even rendered Superman unconscious at one point and likely would have killed him, were it not for the timely arrival of Superman’s Kryptonian cousin, Kara Zor-El, aka Supergirl. Supergirl gave her life to save not only her cousin, but the lives of untold numbers of sentient beings in those universes that still existed. This was not a case of a female comic book character being fridged. 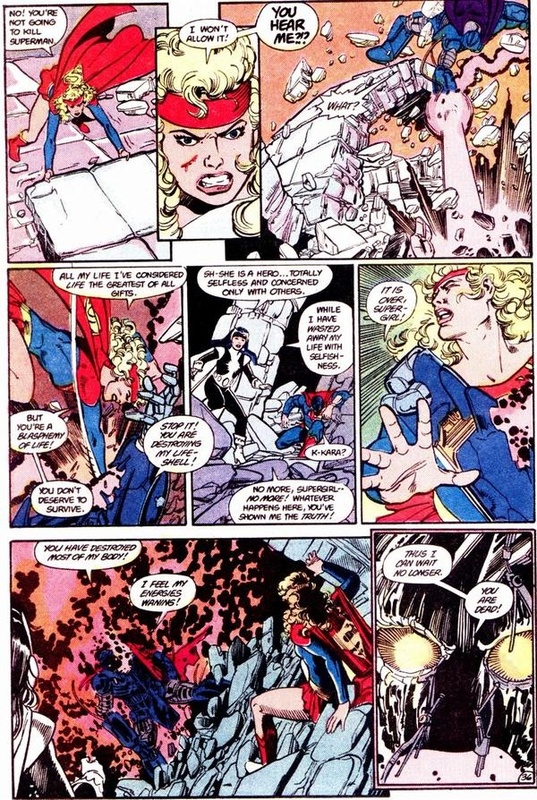 Supergirl’s death wasn’t used to further the story of her cousin or any other male character. 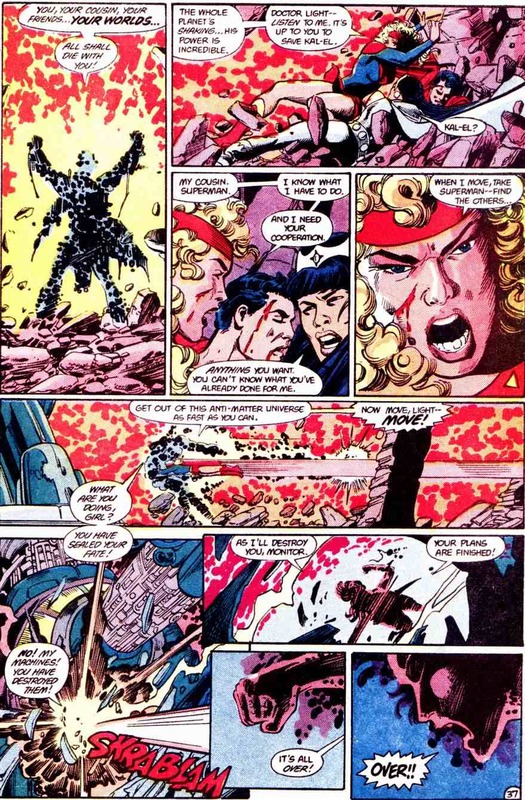 Her actions in this issue were character-driven and served to further the story’s plot. This was her story. Moreover, she died heroically, saving not just one, two, or three universes, but 5. When I read this story back in 1985, I was 9 years old. Be it Marvel or DC, 9-year-old me was unfamiliar with comic books. My understanding of the characters in CoIE #7 was limited to what I read in that comic. And yet that comic affected me so much that I cried. I was in tears because Supergirl-a character I knew very little about-heroically sacrificed her life so that countless others could live. I’ll be 40 at the end of this year. Even though I’ve read thousands of comics in the years since 1985…even though I’ve read comics that were written far better than any issue of CoIE (including #7)…even though Superman’s cousin from Krypton has been reintroduced to DC’s fictional universe…this issue still brings tears to my eyes. Composing this post and re-reading the above pages brought tears to my eyes. So yeah, there’s a spot in my heart for Crisis on Infinite Earths. Especially issue #7. And that’s all due to Supergirl. It is because of this love for Supergirl that I am excited at the upcoming series from CBS. I’m even more excited about the series after watching the recently released trailer and if you’re as big a fan of Supergirl as I am, you will be too. First and foremost, I love, Love, LOVE the way ‘Kara’ is pronounced (car-uh). It’s how I’ve always pronounced her name and I disliked the pronunciation of ‘Kara’ in the CW’s Smallville (care-uh). Despite reminding me of Meryl Streep’s character in The Devil Wears Prada, I enjoyed the portrayal of Cat Grant (Calista Flockhart). She provides a nice contrast to Kara. I like that the show’s creators chose to cast a black man in the role of James ‘Jimmy’ Olsen, because Hollywood has a poor history of representation of African-Americans. I like the chemistry between Kara and her sister. Despite the fact that Kara is literally from another planet, it’s clear that she and Alex have a strong-and friendly-bond. I’m going all caps here bc this is a biggie-KARA’S FIRST DISPLAY OF HER POWERS IN PUBLIC WAS AN ACT OF HEROISM! This is important bc in the atrocious Supergirl movie, she publicly used her powers for the first time to fend off sexual harassment (and most likely an attempt at sexual assault). Male heroes almost always get to debut heroically, and I’m glad to see that Melissa Benoists’ Supergirl gets to do the same. I like that she doesn’t keep her identity a complete secret and I’m curious to see if the writers will address her attempts to keep her identity under wraps. I like the idea that the ‘S’ is the El family’s coat of arms (for those who prefer it to mean ‘super’, there’s no reason it can’t have both meanings). The special effects look amazing. One minor gripe is the indiscriminate use of her powers against normal humans. Kicking a gunman through a concrete wall would likely leave them with serious back problems, if not outright breaking their back. Does she understand the extent of her powers and the potential harm she could bring to the humans she seeks to protect? Here’s hoping this is a plot point the writers plan on addressing. But really, that’s a minor gripe in an otherwise excellent trailer. If the show can live up to the promise of the trailer, Supergirl will be on my must-watch list. Supergirl will air Mondays at 8pm (EST) beginning in November. CBS has begun production on the pilot episode of their live-action Supergirl series, starring Melissa Benoist as the Kryptonian powerhouse. Presumably set to debut in 2015 (though this hasn’t been confirmed), the series also features Mechad Brooks as Jimmy Olsen, Calista Flockhart as Cat Grant, Chyler Lee as Kara’s foster sister, and Laura Benanti as Kara’s biological mother. Dean Cain, who portrayed Clark Kent/Superman in the 90s tv series Lois & Clark: The New Adventures of Superman, is set to appear on the show as well, though what role he will play is currently unknown. Former Supergirl herself, Helen Slater, will also appear on the show (like Cain, her role is unknown). So yeah, I think the Supergirl costume is nice. I was curious to see what it would look like and I’m satisfied. Her costume isn’t the only thing I’m curious about. I want to know more about who this version of Supergirl is. Sure, we know she’s Superman’s cousin from Krypton and she has all his powers and she’s a superhero who fights for truth, justice, and the USAmerican way. But who is she? What hopes does she have? What are her fears? Does she have personal aspirations? Who are her friends and what traits does she share in common with them? How does she differ from them? What is she passionate about? What are her hobbies? What brings her joy? How close is she to her foster family? Does she have an opinion about immigration or the foster care system? These questions aren’t asked in the hopes that CBS will issue a press release offering answers (obviously, exploring her character is best left for the show itself). Those questions are merely examples of how to explore and develop Kara’s character. We know that as a derivative character, she is defined in some part by her relationship to Superman. For all that though, she is still her own person, and needs to be defined by her thoughts, beliefs, and actions. She doesn’t need to be further defined by her relationship to Kal-El. I hope the shows creators understand this and I look forward to seeing her character fleshed out and brought to life. Did the writers really think it was a great idea to have Supergirl publicly display her powers for the first time (as well as her first encounter with humans) by fending off sexual harassment?! Superman’s debut was powerful. It was majestic. It was in keeping with his larger than life stature. None of that can be said about Kara’s debut in the 1984 movie. She didn’t get to save a civilian, prevent a tragedy, or fight a fire. The writers could have chosen any number of ways to introduce Supergirl to the people of Earth (and vice-versa). They had endless options available to showcase her powers. Instead, she got to fend off sexual harassment*. I hope all those involved in CBS’ Supergirl series give her debut the proper grandeur it deserves. *I’m not arguing that the Supergirl movie writers shouldn’t have addressed sexual harassment**. I’m arguing that they should have had Supergirl debut in a heroic manner similar to how Superman debuted in the 1978 movie. **Though in all honesty, they didn’t address it. 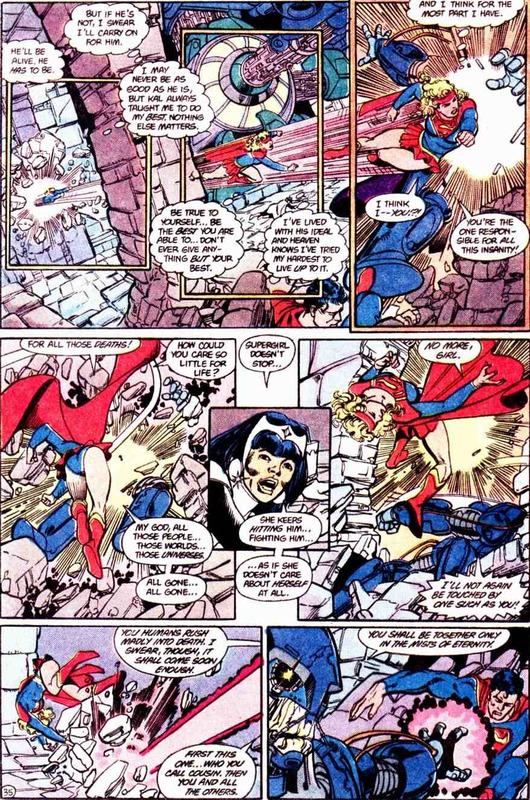 Supergirl was sexually harassed and fought off her attackers. That’s it. There was no follow-up. There was no thoughtful examination of the causes of sexual harassment or the steps society should take to stop it. Plus the scene contributed little to the rest of the movie. In yet another Shoop-approved example of racebending, Mehcad Brooks has been cast as Jimmy Olsen in CBS’ in-development Supergirl series. Like the racebending of Iris West in the CW’s The Flash (in the comics she was white), Olsen will be the love interest for the title character, though it’s unknown if he’ll be pursuing Supergirl in her superhero identity or in her secret identity. Created by Jerry Siegel and Joe Shuster, Jimmy Olsen is one of the most iconic and enduring supporting characters in comic books, and has been a part of other media adaptations of the Superman mythos from the beginning — the character was introduced in the radio show “The Adventures of Superman” in 1940, and debuted in comics a year later. Jimmy Olsen has been portrayed numerous times in film, television and animation, and has headlined his own comic on multiple occasions, most famously the “Superman’s Pal Jimmy Olsen” series that ran from 1954 to 1974. Shipp will play the weather manipulating mutant Storm. 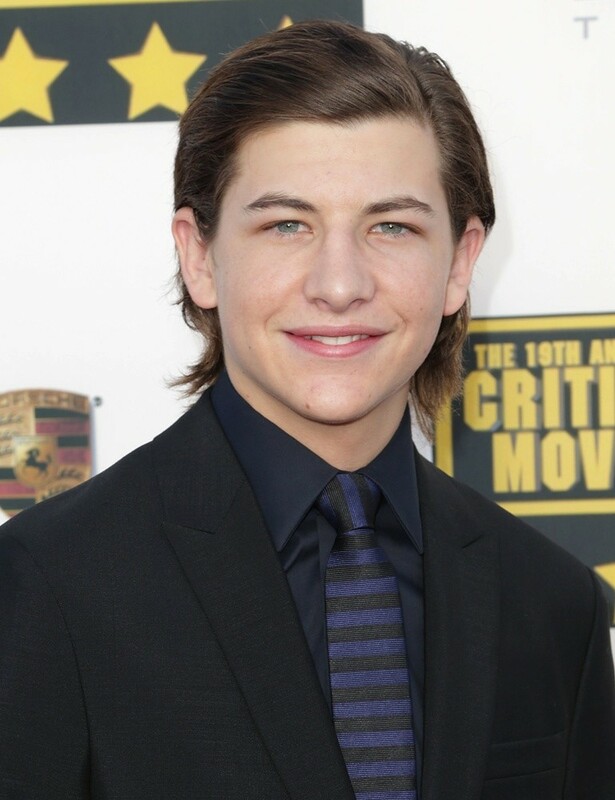 Sheridan is set to play the optic blast wielding field leader of the X-Men, Cyclops. Turner will play Jean Grey, an Omega-level mutant with powerful telepathic and telekinetic abilities. 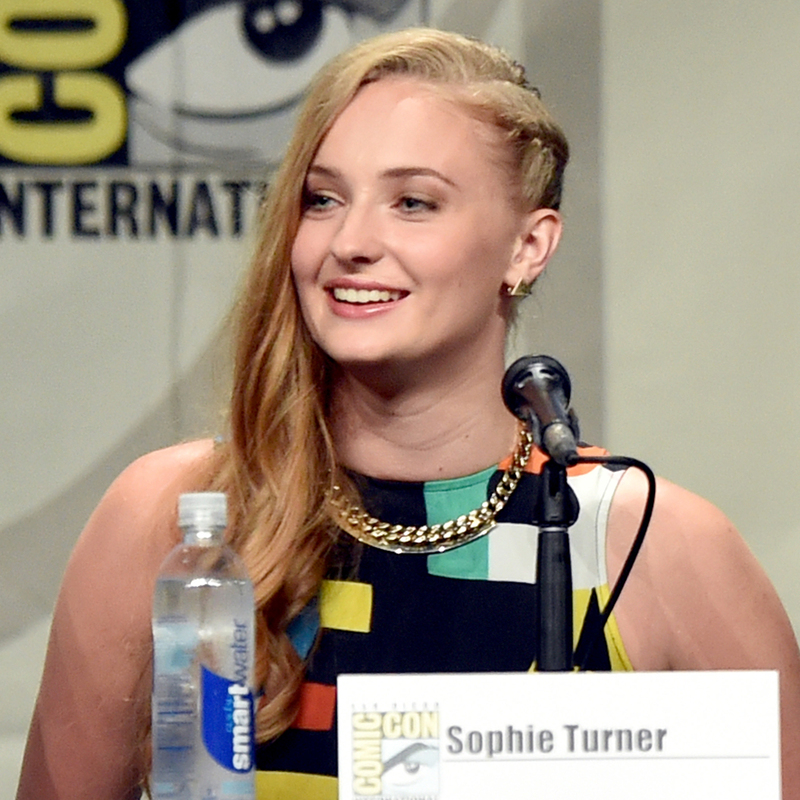 The three new actors are set to star in the next installment of the popular franchise, X-Men: Apocalypse. Due in 2016, the movie also stars Oscar Isaac as the main villain, Apocalypse (somehow, I don’t think he’s going to look like this). EXCLUSIVE: Earlier this month, Fox entertainment chairmen Gary Newman and Dana Walden told reporters at the Television Critics Association press tour that they were hoping to revive The X-Files and 24. Now, for the first time, the network is also confirming that it’s kicking another popular franchise to bring to primetime: X-Men. But here’s the slight complication: While sister production company 20th Century Fox controls the film rights to the X-Men characters, the comic itself is owned by Marvel, which is based at rival Disney. A live-action TV series requires Marvel’s blessing – and that has led to some delicate talks. Because they’re focusing on deal points first, there’s no writer and no firm concept yet (although there’s been online speculation that it might revolve around the X-Men spinoff comic series X-Factor.) Because it will take time to develop, Newman doesn’t think a show would be ready before the 2016-2017 TV season. Any deal for 20th Century Fox TV to wade into the Marvel waters will require deft negotiating because Marvel is busy ramping up its own TV presence, starting with ABC’s current seriesAgents of S.H.I.E.L.D. and Agent Carter. Next up, Marvel is producing the four Netflix seriesDaredevil, Jessica Jones, Iron Fist and Luke Cage, plus the miniseries The Defenders. Last fall the website Bleeding Cool revealed that the X-Men development was real. But this is the first time Fox has confirmed that it is pursuing a deal for the show, and that indeed it would be for its own network. This would actually mark a return of the X-Men to Fox: The network’s now-defunct Fox Kids block aired an animated X-Men series from 1992 to 1997. 20th Century Fox first acquired the film rights to the X-Men franchise in 1994; the studio also holds the rights to Marvel’s Fantastic Four. Other studios with rights to Marvel properties include Sony, which remains the home to Spider-Man. But under Disney, Marvel has been reacquiring film rights to many of its characters, including Daredevil, which was previously at 20th. It’s no surprise that Fox would be interested in bringing the X-Men to television. The network has found success this season with Gotham, a Batman origins series from DC Comics and Warner Bros. TV. As programmers contend with more competition, pre-sold titles are seen as having a marketing leg up. And there’s no question audiences love the X-Men: According to Box OfficeMojo, the seven X-Men movies have collectively grossed over $1 billion in theaters. Contributing to that draw has been Hugh Jackman, who stars in most of the films as Wolverine (a.k.a. James “Logan” Howlett). It's a bird! It's a plane! It's…Supergirl! JAMES OLSEN | In his late 20s/early 30s, open ethnicity, James is a smart, worldly and (duh) attractive photographer for CatCo. Though an alpha male, his salt-of-the-earth nature elicits a huge ol’ crush from Kara. WINSLOW ‘WYNN’ SCHOTT | This twentysomething tech whiz/Comic-Con stalwart toils for CatCo as a programmer, unaware of his own (toying?) potential. Unware of her secret, he carries a torch for Kara, whom he lives next door to. HANK HENSHAW | As an upstart CIA agent, Hank grew obsessed with intergalactic intel. Now in his 40s and lording over the DEO (Department of Extra-Normal Operations), he is on high alert when Supergirl reveals herself, worried that her otherworldly abilities pose a threat to humankind. For Kara Zor-El aka Kara Danvers, the show is eyeing Caucasian females, age 22 to 26, to play 24. As the series’ mythology goes, Kara at age 12 was sent from her dying home planet of Krypton to Earth, where she was taken in by the Danvers, a foster family who taught her to be careful with her extraordinary powers. After repressing said skills for more than a decade, Kara is forced to bust out her super moves in public during an unexpected disaster. Energized by her heroism for the first time in her life, she begins embracing her abilities in the name of helping the people of her city, earning herself a super moniker along the way. The other lead role currently being cast is that of 26-year-old Alexandra “Alex” Danvers, Kara’s gorgeous, brilliant, science-minded foster sister. Growing up, Alex was partly jealous of her sibling yet also fascinated by her abilities, prompting Alex to learn as much as she could about alien anthropology, sociology and culture. Today, Alex works for a secret government organization and, alongside her heroic sis, will face many challenges, both mundane and super. There are obviously a few changes from the portrayal of Supergirl in the comics (no matter what version or which continuity we’re talking about). There doesn’t appear to be any mention of Superman as her cousin, which prompts me to wonder how they can capitalize on a Super-character that has no ties to Superman. But then it makes me wonder if the creators are trying to minimize Superman’s role so that Supergirl can stand out from him. Perhaps they’re looking to develop her so that people view her as a hero in her own right rather than ‘Superman’s cousin from Krypton’. Also different is that Kara has never had a sibling, so Alex Danvers is a new character created for the show. There’s not enough information on this show for me to decide anything about it. Supergirl is one of my favorite characters. 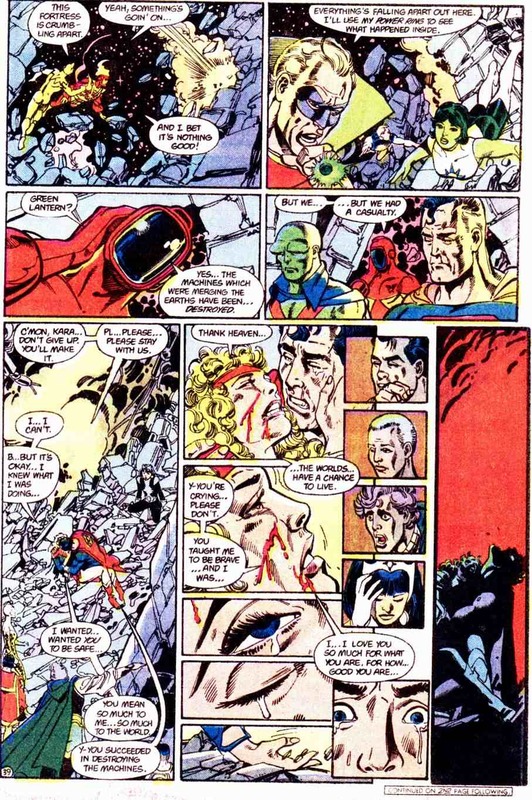 I still get teary eyed when reading the death of the original SG in Crisis on Infinite Earth #7. Peter David’s 1990s run on Supergirl is one of the best series of all time IMO. I wanted to like the Supergirl movie, but couldn’t bring myself to do so. So I have an appreciation for Supergirl. Here’s hoping the writers and directors can do her justice. It’s a bird! It’s a plane! It’s…Supergirl!